Able Flight™ is incorporated as a 501 (c) (3) nonprofit organization, and is supported by the generous donations and sponsorships of individuals, foundations and corporations. Charles served as the Manager of Temser, Inc., a nonprofit transitional employment corporation based in NC. He later served as a Senior Projects Manager for GTE (later Verizon) in their media production division. He was the national volunteer coordinator and NC Flag Bearer for the EAA’s 50 Flags to Kitty Hawk project in 2003, and has been a writer/photographer for a number of U.S. and European aviation publications. Charles founded Able Flight in 2006 and is responsible for its operations. Charles is a licensed pilot. Ryan is an Emergency Medical Helicopter Pilot in Austin, TX where he lives with his wife Helena and their two children. Ryan is a wounded Iraq war veteran, and was the first veteran to obtain his sport pilot certificate with an Able Flight Scholarship. He has also obtained his private and instrument ratings in airplanes, along with his commercial, instrument and instructor ratings in helicopters. Steve was the airport manager at the Franklin County, NC airport and previously served as a Projects Manager at the North Carolina Division of Aviation. He was also an FAA Aviation Safety Counselor and Gold Seal flight instructor. As a flight instructor, Steve coordinated and monitored the training programs at Able Flight’s selected flight schools in order to accommodate the special training needs of selected students. Steve passed away in December, 2017. Al is an FAA Certified Aviation Medical Examiner and flight instructor. He serves as Able Flight liaison to the FAA Aeromedical Certification Branch concerning medical issues, and advises Able Flight on applicant medical issues. Julia is the Executive Director of Mid-Atlantic Venture Association (MAVA), and previously served as Vice-President at Columbia Capital and Vice-President of GTE Corporation where she managed philanthropic efforts, including those of the GTE Corporate Foundation. Julia is a licensed pilot. Matt is the Regional Marketing Director at Jetcraft Corporation. Prior to joining Jetcraft, Matt worked for over 18 years at Bombardier Aerospace where he held various positions in their Business Aircraft, Flexjet and Commercial Aviation Services divisions. Adam is a Marine Corps Sergeant (retired) who was wounded while serving in Iraq in 2005, losing his left arm at the shoulder and his right leg below the knee. He earned his pilot certificate in 2012 as the recipient of an Able Flight Scholarship, and prior to entering Mount St. Mary’s University, Adam served as Vice President of Operation Second Chance. Sean is an Able Flight scholarship award recipient, and was the second recipient to earn a pilot’s certificate. He was the Director of Distance Learning Education at Villanova University, and the founder of Philly Sport Pilot, a training facility for Sport Pilots, including people with disabilities. Bob serves as CEO of JFI Jets, and previously served as Senior Vice President/General Manager of Jet Aviation’s U.S. Charter Services. Prior to joining Jet Aviation, Bob served as a Regional Sales Director for Gulfstream Aerospace and Galaxy Aerospace. He is a graduate of the U.S. Naval Academy and holds a master’s degree in Business Management from the Kellogg School at Northwestern University. He began his career in aviation as a Naval Flight Officer operating P3 Anti-Submarine Aircraft in the Pacific and Indian Oceans. Bob is a licensed pilot. Chris was the US National Sales Manager, General Aviation for Sennheiser Electronic Corporation. 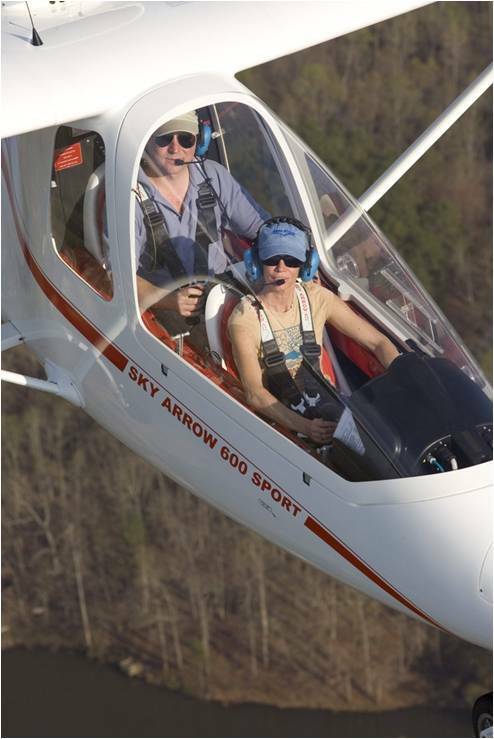 Chris has trained for a private pilot certificate, soloing on August 25, 2000. She has a passion for aviation and a dedication for helping people accomplish everything that is possible for them. She understands what it is like to have challenges in everyday life as her mother lives with Parkinson’s. Able Flight Is Proud To Have Earned The GuideStar Platinum Seal by providing comprehensive, updated information.